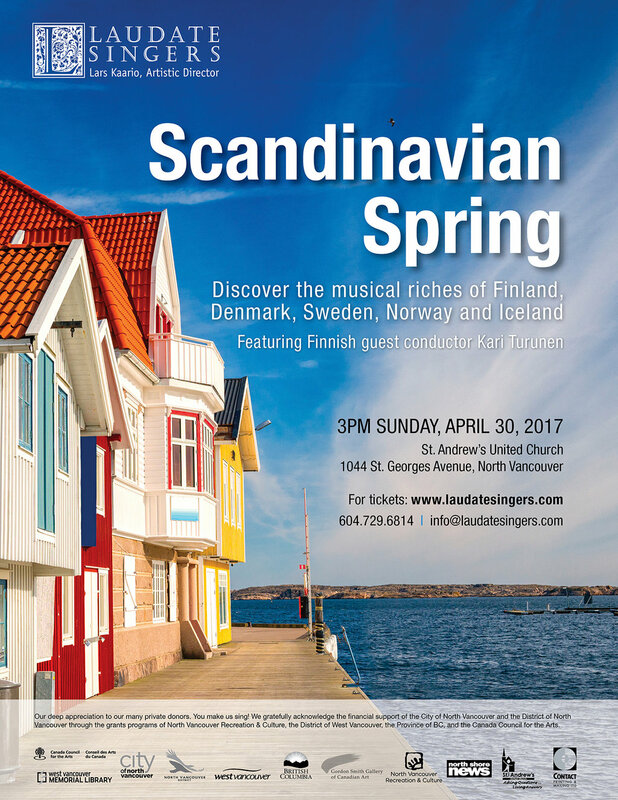 Led by Finnish guest conductor Dr. Kari Turunen, Laudate Singers invite their audience on a cultural getaway to Finland, Norway, Denmark, Sweden and Iceland. 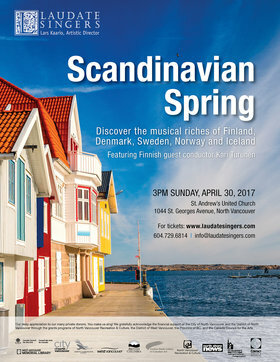 The programming for Scandinavian Spring highlights diverse aspects of Scandinavian cultures, and is inspired by nature, folk music, and of course the great choral tradition of the Scandinavian countries. A new commission by Eric Wettstein based on a Swedish poem will stand alongside composers like Grieg, Sibelius, Holten, Asgeirsson and even Rajaton.